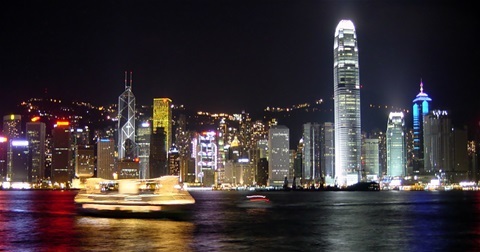 If you are planning on moving to Hong Kong we can help you with a door to door service or destination services upon arrival. The import requirements vary slightly and have been spilt into the following 3 groups. Dogs and cats imported direct from U.K., Ireland, Australia, New Zealand, Fiji, Hawaii and Japan are normally exempted from quarantine. Dogs and cats must be over 60 days old, be identified with a microchip, be fully vaccinated against feline/canine infectious diseases and be issued a health certificate within 14 days prior departure. (Continental), Vanuatu, & Virgin Islands are normally exempted from quarantine. Dogs and cats must be over 60 days old. All animals under 5 months old will be quarantined until over 5 months of age. Dogs and cats identified with a microchip, be fully vaccinated against Rabies, feline/canine infectious diseases and be issued a health certificate within 14 days prior departure. All other countries are subject to a minimum of four months quarantine at the Animal Management Center. Dogs and cats must be over 60 days old, be identified with a microchip, be fully vaccinated against feline/canine infectious diseases and be issued a health certificate within 14 days prior departure. All pets require an Import Permit and must enter Hong Kong as manifest cargo. Fighting dogs such as Pit Bull Terrier, Japanese Tosa, Dog Argentina and Fila Braziliero and their crossbreeds must not be imported. For more information or if you would like to request our destination services, please contact us for more information.